Savvy Spending: *HOT* Amazon: 8GB Fire 7 Tablet for just $29.99!! *HOT* Amazon: 8GB Fire 7 Tablet for just $29.99!! 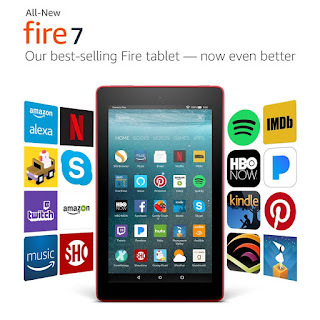 Amazon has this 8GB Fire 7 Tablet with Alexa and special offers in multiple colors for just $29.99 shipped (regularly $49.99)! This is the same price as on Black Friday! Hurry, not sure how long this price will last!